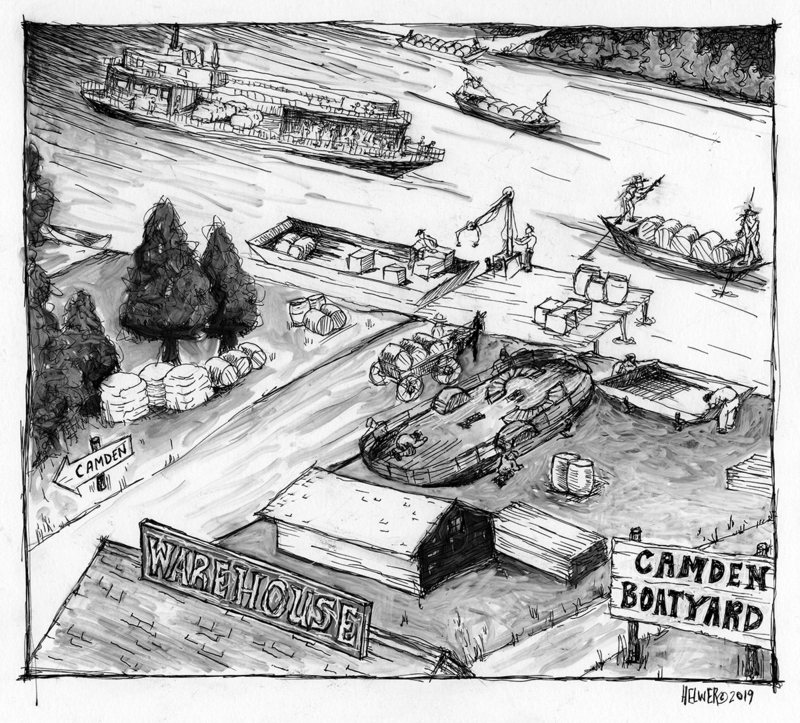 CAMDEN BOATYARD. (COMMISSIONED ILLUSTRATION. SOLD) | the guy in the library.